Wondering where to go for the New Year? If you have been thinking of heading out somewhere for foreign shores but are worried about visa hassles and the time they take, this is the perfect list for you. Every destination here is either visa-free or has visa-on-arrival for Indians. How many of you know that Indians can visit this European country without a prepped visa? They have visa on arrival for Indians. You can enter, transit through and stay in Serbia during a period not exceeding 30 days from the date of entry, within a period of one year. It's a truly picturesque country with mountain trails, rugged gorges, Dinaric Alps, vineyards, islands and amazing architecture. 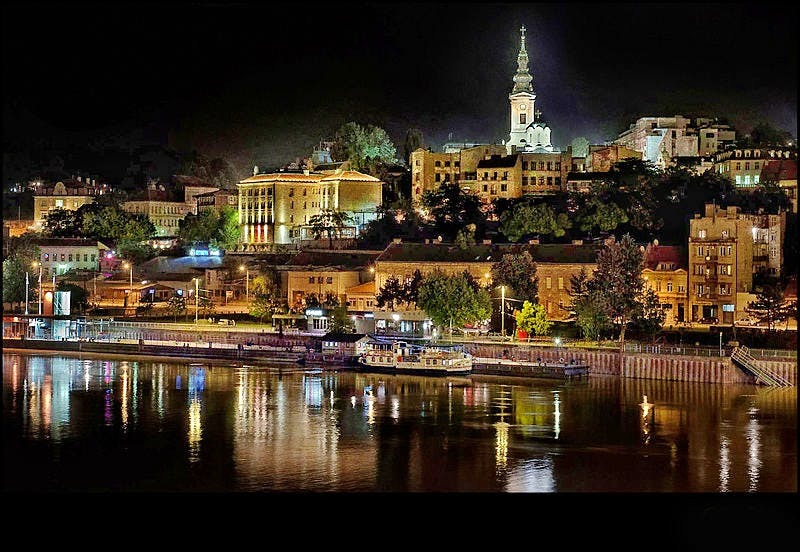 And its capital Belgrade has one of the most rocking night scenes in Europe! This pretty Vietnamese island just off the coast of Cambodia has Vietnam's trademark tropical jungles, hills and white sand beaches. It offers entry without visa for international visitors for up to a month. And Kolkata peeps, you just got lucky! A connecting flight of AirAsia from Kuala Lumpur to Phu Quoc has been launched recently with AirAsia Fly-Thru facility. The flight from Kolkata reaches Kuala Lumpur early in the morning and passengers headed onwards to Phu Quoc do not need a visa. So go ahead, make tracks to this untapped paradise now before the crowds get savvy! Don't forget to check out the oversea cable car ride from the main island to Hon Thom - supposed to be one of the longest oversea cable car rides in the world. Some 500km west of Senegal, hit up this stunning island chain which boasts of scenic mountains, beaches and seaside villages. You will love hiking in Santo Antão - a vertical isle with canyons, gorges, craggy peaks and valleys full of flowers. If you are in the mood for bars and music clubs, head to Mindelo in São Vicente. And finally you have the warmth of the people known for 'morabeza' (Creole for hospitality). This place is known as the Spice Isle of the Caribbean due to the plantations of nutmeg, cinnamon, cloves, and ginger that dot the landscape of the hilly main island. Indians do not require a via here. So land up and head straight to the capital, St. George’s with a gorgeous harbour, am 18th century fort, colourful old homes and Georgian buildings. Sun yourself on the heavenly Grand Anse beach or go hiking in the rainforest, and turtle-watch at Anse La Roche. There's lots to do here. Comprising of 15 tiny islands across 2 million sq km of wild Pacific blue, the Cook Islands are stunning. Head to Rarotonga, known for a strong cafe culture, bars & clubs and an artisanal food scene. Want something quieter? Park yourself on the sublime Aitutaki lagoon, or explore the ancient raised coral cliffs of Mangaia, and swim in the underground cave pools of Mitiaro and Ma’uke.